Carried out by Team Van Oord on behalf of the Environment Agency, the project has helped reduce the risk of flooding to more than 250 homes in the Fens. Work on the project, which got underway in 2013 and was originally budgeted at £26m, involved strengthening 16km of the reservoir’s 18km south bank by placing 300,000 tonnes of material and installing a low level, 250m long concrete wall. Despite having to comply with a working window of July to October to avoid disturbing overwintering and ground nesting birds, Team Van Oord completed the works a year ahead of programme. Just last week (15 Sept) the project was acclaimed at the 2016 ICE East of England Merit Awards ceremony in Newmarket. Whittlesey Washes, also known as the Nene Washes, are used to store excess water from the River Nene and play an important part in reducing the risk of flooding during combined high tides and high river flows. Under these conditions, excess water is stored on land surrounded by embankments and then released back into the River Nene when the tide recedes. However, a routine inspection found that the bank required strengthening to prevent a possible breach, which could have caused widespread flooding and serious risk to life. 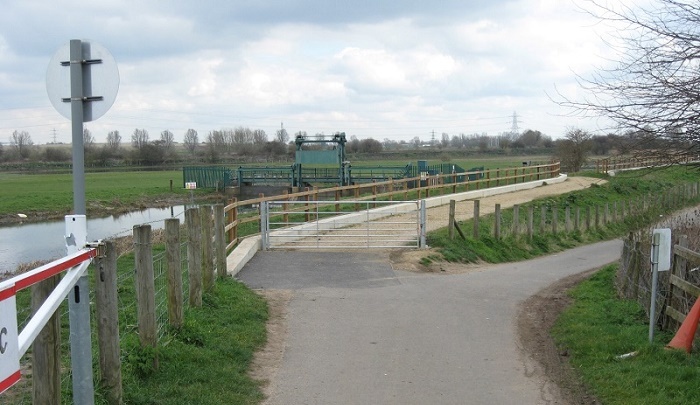 Guy Szomi, Environment Agency catchment engineer, told Peterborough Today: “We are so pleased to announce the completion of works on the Whittlesey Washes banks so far ahead of schedule and at a significantly reduced cost. “This is all down to close working with our partners, including Natural England, the internal drainage boards, and the local councils, as well as the efficiency of our contractors, and we’d like to thank them and the community for its patience while the improvements were carried out.